*You are going to receive a ton of well meaning sometimes not so well meaning parenting advice, always go with your gut. Don’t start to doubt yourself because your mother in law tells you that you’re doing something wrong. Maternal instinct is stronger than you think. *Your baby will want to be held and may cry an awful lot. Guess what? That’s completely normal! Your baby is not broken. You may be told not to pick him up every time he cries or that allowing him to cry himself to sleep is good for his lungs, but your mommy gut will tell you otherwise. Pick your baby up as often as you want and comfort him every time. Your baby is in a new environment and needs your help and comfort to make him feel secure. *Skin to skin contact with your baby is so beneficial especially in the fist minutes after you birth them. Did you know that a newborn baby can actually find their way to mamas breast without any help just from being placed on your stomach? It’s a pretty amazing thing. Skin to skin contact even months later is so good for their growth and development and can even help with breastfeeding! *You may doubt your ability to nourish your baby solely by your breasts, but don’t! You can do it mama! It may be hard and downright painful at first , but you and baby will get the hang of things soon and it will be something special only you, as the mother, can give. My number one advice I would give is to join support groups and hear from other mamas going through the exact same things! Talk to Lactation consultants, Attend your local La Leche League meetings and it will be a lot easier to make it through the rough patches. You may think you’re not producing enough, but don’t automatically run to those formula samples quite yet. 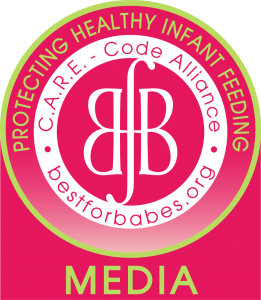 Get second and third opinions from qualified people in breastfeeding before supplementing. Many moms think they aren’t producing enough when in reality they are producing just enough! Breastfeeding is supply and demand, which means breastfeed often even if it’s just for comfort to your baby. *You will make plenty of mistakes along the way because you’re human and we’re not built to be perfect. Mistakes do not make you a bad mom, but learning from those mistakes makes you a better one. *Some days will seem unbearable. Sleep deprivation, lack of showering, spit up stained clothes, and piles and piles of never ending laundry. I wish I could say all that ends after the newborn stage, but it really doesn’t, you just adapt and learn to cope better with your crazy life. *Sing to your baby often, talk to your baby like you’re having a regular conversation with a friend. They may not talk back or understand any of what you’re saying, but they are listening, they are learning, and it’s so crucial to their developmental growth! *Don’t be in a rush to get your baby on solids. Both the AAP and WHO recommend that you wait until your baby is at least six months of age. When they reach six months and they start showing an interest in solids I recommend Baby Led Weaning. There are a ton of great articles on Baby Led Weaning you can read up on to see if that is something you think is best for you and your baby. Above everything else inform yourself and just trust your mommy instincts. Don’t ever feel guilty for meeting the needs of your baby. Your child should always come first and people who can’t understand that should have no place in your life. You will get through this and you will become such a strong amazing person because of it.